DALLAS/CHICAGO/WASHINGTON - Boeing Co.’s shares tumbled as the company pushed back on suggestions it could have better alerted airlines to a new anti-stall feature in the 737 Max jetliner involved in a fatal Indonesia crash and canceled a call with carriers to discuss the model. No reason for the scrapped conference call was given, according to people familiar with the situation. The conversation had been slated for Tuesday morning in the U.S. and was expected to be rescheduled, said the people, who asked not to be identified about a private matter. Muilenburg was disputing criticism from U.S. pilot unions and a Wall Street Journal report that the company deliberately withheld a description of the obscure flight-control system that sometimes can pitch the aircraft’s nose downward if it suspects the plane is losing lift on its wings. Boeing is working to shore up confidence in its top-selling jetliner and contain critiques stemming from the deadly Lion Air crash last month. Investors have fretted about liability for a system that possibly was tripped up by a single bad sensor reading — as well as with the damage to the 737 brand, Boeing’s largest source of profit. The shares dropped 2.3 percent to $313.65 at 10:29 a.m. in New York after plunging to $296.61, the lowest intraday since Jan. 4. Through Monday, the shares had declined 10 percent since the Oct. 29 accident involving a two-month aircraft. 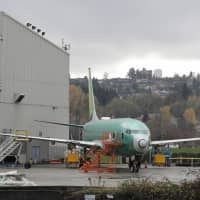 The call had been intended to let Boeing field queries all at once from airlines worldwide that fly the Max, instead of having individual conversations on the same points, one of the people familiar with the situation said. The Chicago-based plane-maker was also set to go over differences between the Max, the most recent version of Boeing’s best-selling airplane, and the model that preceded it. CNBC earlier reported that the call had been canceled, and the Air Current first reported on Muilenburg’s message to employees. 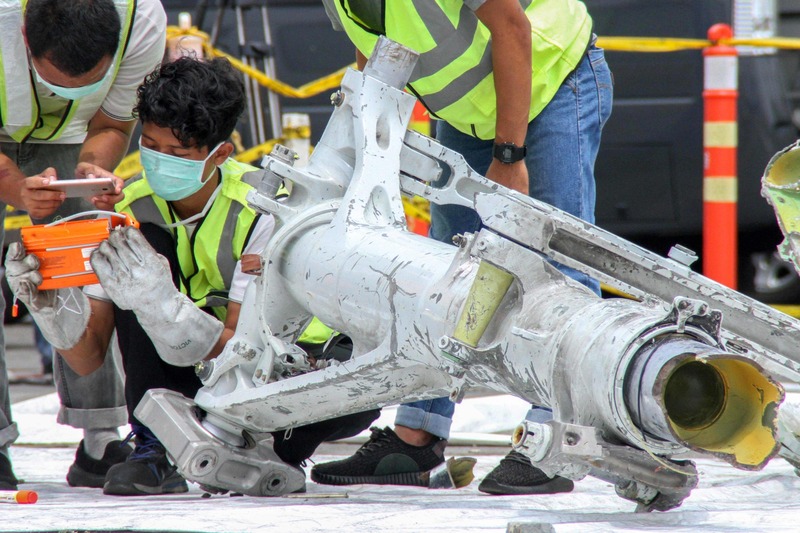 Airlines have been eager for details about the little-known anti-stall feature of the Max that has emerged as an area of focus for investigators as they try to figure out what caused Lion Air Flight 610 to crash into the Java Sea near Jakarta. Before the accident, Boeing hadn’t widely disclosed that the so-called Maneuvering Characteristics Augmentation System would, in limited circumstances, lower the jet’s nose without any input from pilots. Southwest Airlines Co., American Airlines Group Inc., Norwegian Air Shuttle ASA and United Continental Holdings Inc. are among carriers flying the Max. Muilenburg’s comments highlighted a disagreement over the role of the manuals. Boeing in a previous bulletin to operators maintained that the pilots already had been trained to respond to that behavior by the plane, a view echoed by United’s pilot union in a Nov. 16 statement. The plane-maker declined comment on the canceled call. 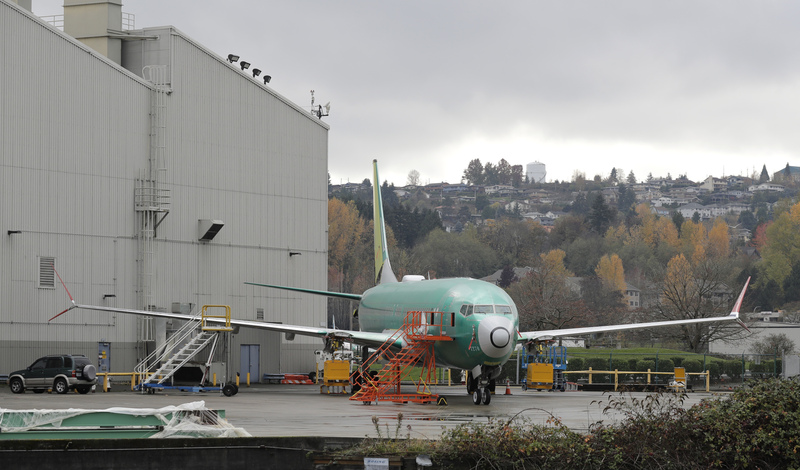 “While we can’t discuss specifics of an ongoing investigation, we have provided two updates for our operators around the world that re-emphasize existing procedures for these situations,” Boeing said in a statement Monday. The MCAS safety system is designed to automatically push down the nose of the plane if it is in danger of losing lift on the wings, a condition known as an aerodynamic stall. If a so-called angle-of-attack sensor shows that the aircraft is pointed too high relative to the oncoming air, a flight computer automatically pushes down the nose. The MCAS system only engages when the plane is being flown manually, rather than on autopilot. 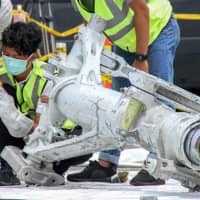 In the case of the Lion Air episode, erroneous angle-of-attack gauge signals may have essentially tricked the plane into behaving as though it was in danger and commanded a dive, according to Indonesia’s National Transportation Safety Committee. “The crash of a Lion Air Boeing 737 MAX won’t end the program, and we believe the fix will be largely aimed at training and software changes with manageable costs,” George Ferguson, an analyst with Bloomberg Intelligence, said in a report Monday.